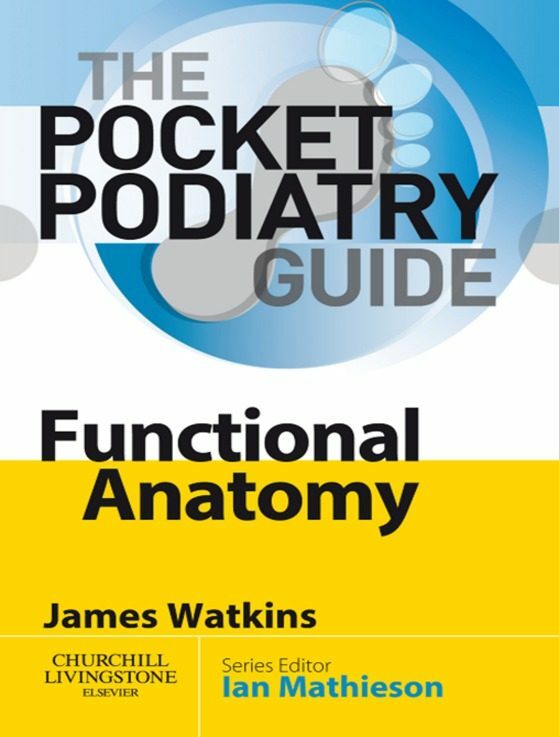 Pocket Podiatry: Functional Anatomy gives you all the essentials of examination and diagnosis in a convenient, user-friendly format. With the emphasis on practical, step-by-step guidance, this handy volume is specially designed to include helpful diagrams, tables, tips and summary boxes to give you quick access to key information with the minimum of fuss. With its clarity and portability, students will find the Pocket Podiatry series an invaluable companion to their studies, while practitioners will appreciate its clinical orientation and concision.Features:•	Relevant - focuses on key information •	Convenient - handy sized volumes can easily be carried in coat pocket•	Practical - a minimum of theory and a maximum of clinical emphasis•	Accessible - user-friendly format with summaries and helpful tips•	Specialist - written by podiatrists for podiatrists•	Clear - full colour design throughout.